Shell plans to suspend its first well Biliaivska-400 drilled in Kharkiv region within joint project with Ukrgasproduction. Such information, according to “Дело”, was announced by Head of Health, Safety, Security, Environment and Sustainable Development department of Shell in Ukraine Tatiana Bobrovitskaya. “Biliaivska well will be suspended, the well showed not very good results, and the will not be commercial gas production on this first well”, – Tatiana Bobrovitskaya commented during presentation of the non-governmental organisations report on environmental impact assessment on Yuzivska area. Shell completed drilling of Biliaivska-400 well in October last year and performed hydrofracking operation on this well during November-December. 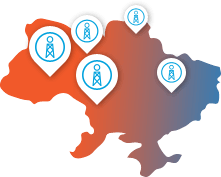 As for the second Shell’s project in Ukraine, within the framework of project sharing agreement for hydrocarbons production on Yuzivska area the company continues preparatory activities.